Apple is gambling against Flash. Microsoft is hedging its bet. Just two weeks ago, Apple CEO Steve Jobs said the scaled-down, cellphone-friendly version of Flash, dubbed Flash Lite, just wasn’t good enough for the iPhone because it would spoil the phone’s “full web experience”. With so much Flash content on the Web — in the form of videos, ads, casual games — Job’s proclamation was viewed by some as a major disappointment in the evolution of the iPhone. 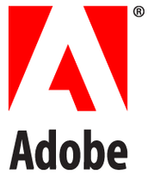 Today Adobe said it has licensed Flash Lite (and Reader) to Microsoft for use in smartphones operating the Windows Mobile OS. Microsoft does not manufacturer these phones like Apple does the iPhone; rather, it licenses Windows Mobile to cell phone makers like Samsung, LG, Motorola, and Sony Ericsson. What’s odd is that Flash is a direct competitor to Microsoft’s own Silverlight, a browser plug-in that allows for the development of what’s known as rich internet applications, with features like animation, vector graphics, and audio-video playback. It’s what Flash is famous for on the Web. Microsoft clearly wants to compete with Adobe in the mobile space. Earlier this month, Microsoft announced that Nokia — the No. 1 handset manufacturer in the world — would be using Silverlight in upcoming phones. 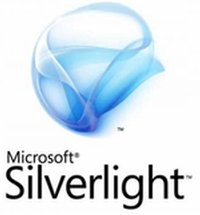 While many developers speak highly of Silverlight, Microsoft is expected to have a tough time selling it for regular Web-browser development, where Flash dominates. However, Flash Lite is still relatively in its infancy, and Silverlight could gain a foothold in the mobile market. Either way, it appears Microsoft is hedging its bet, or covering both the Silverlight and Flash Lite bases. Scott Rockfeld, group manager at Microsoft’s mobile communications business, told the Associated Press (USA Today story) that the decision to provide Flash compatibility gives more choice to its customers. In 2007, 11 million phones used Windows Mobile, and Microsoft predicts that it will double that number in 2008. More importantly, it’s not on the iPhone. Jobs says Flash isn't good enough for iPhone. Why announce that now?